Just a while ago we saw a change that became Sparrow in the management application default email in iOS called Sparrow + and downloadable for free on Cydia for all devices jailbreak, now comes a similar modification but to make the Gmail app in the default application. 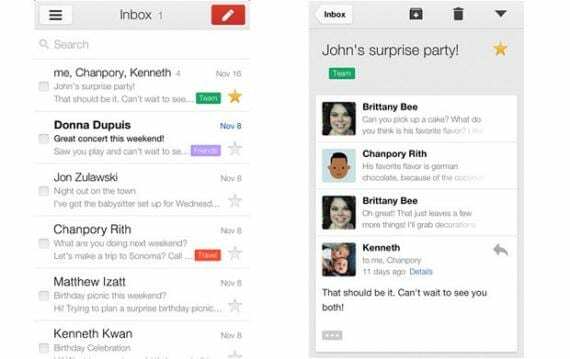 Make Gmail as default, as its name suggests, makes Gmail the default application for email management, and thus supplants the place of the native application for iOS Mail. After installing this tweak when you click on an e-mail (mailto link) will open the Gmail app to send this email. The bad thing is that it still does not work with iOS internal links as sharing a Youtube video or the App Store app with native share buttons. The good thing is that you can choose the mail client you want to use, iOS Mail, Google's Gmail or Sparrow, and we only need to use Mailbox, expect someone to make a tweak like soon. No icons or settings, if you want to disable it just go to Cydia, search the package, click on edit and select uninstall. You can download for free from Cydia, you'll find it in the ModMyi repo. You need to have done the jailbreak on your device. Article Make Gmail as default: make App of Gmail the default mail handler (Cydia) was originally published in News iPhone .